The ViewSonic VG2755-2K is a 27’’ (27’’ viewable) WQHD IPS monitor designed to fit the modern office space. The monitor comes with a built-in USB Type-C port. Simply charge and display content through a single cable from your device, enabling connection with your laptop by a single USB cable to keep the workstation neat while also use it as a docking monitor. 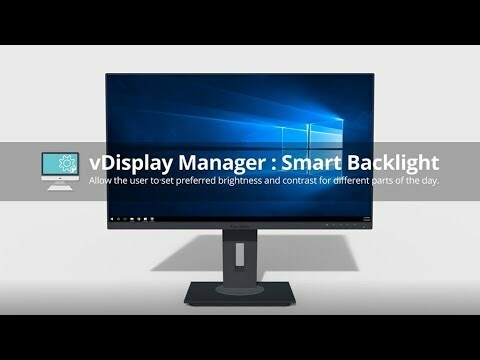 The monitor’s panel utilizes a SuperClear® IPS panel with 100% sRGB colour coverage and an upgraded 2560 x 1440 WQHD resolution, giving users a detailed display with sharper image quality from virtually any viewing angle. In addition, the monitor is equipped with DisplayPort, HDMI, and three USB 3.1 Type-A ports to expand your efficiency. The three-sided frameless bezel design lets you enjoy an uninterrupted view of content across multiple monitors. Advanced ergonomic design offers the widest range of adjustments for maximum comfort; including pivot, swivel, height, and an impressive 40° tilt, allowing you to use the monitor while standing or have group discussions. Packaging is environmentally friendly and offers quick and easy setup, making the VG2755-2K a perfect tool for business environments. A built-in USB Type-C port provides unparalleled compatibility with most peripherals. Get an easy charge for a variety of devices with up to 60W of power, and transmit audio and video simply with one cable. Featuring an upgraded 27” WQHD 2560 x 1440 panel, users will enjoy the benefits of having greater image detail, extra landscape for on-screen content, faster scrolling, and up to 70% more desktop space than Full HD (1920 x 1080). Enjoy every detail with advanced ergonomics including pivot, swivel, and height adjustment to provide maximum comfort. 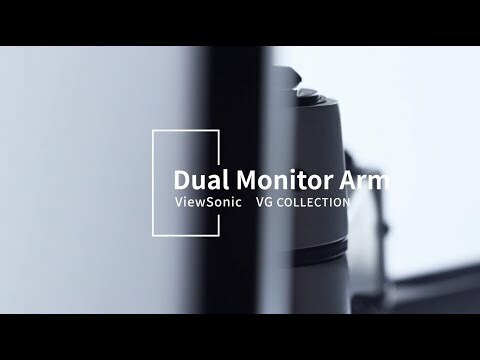 The VG2755-2K features a 40° ergonomic tilt angle, enabling you to use the monitor while standing or have strategic group discussions around the screen. The VG2755-2K is designed with a frameless bezel on three sides, giving the monitor a clean look and an uninterrupted view when used in a multi-monitor setup. Indulge in accurate and vivid colours with 100% sRGB colour coverage* and consistent levels of brightness from any vantage point. With SuperClear® IPS panel technology, the monitor delivers the same image quality whether you are looking at the screen from above, below, the front, or the side. In addition to the USB Type-C connection, the VG2755-2K comes with built-in HDMI, DisplayPort, and USB 3.1 inputs enabling you to connect to an array of devices. ViewSonic’s proprietary vDisplay Manager software is available for free and allows users to organise and divide their screen into multiple segments. The software also enables users to adjust their monitor settings via the software directly for a more efficient workflow. The VG2755-2K’s versatile stand is client mount compatible and features in-built cable management to keep your workstation neat and free of cable clutter. A carrying handle sits at the top of the stand for portability and stability when relocating the monitor. *Client Mount Kit must be used in conjunction with a mini PC and is sold separately. The packaging for the VG2755-2K is completely recyclable and free of hazardous materials such as EPS (polystyrene). Additional plastic materials, such as handles, have been replaced with hand holes and the exterior of the packaging uses mono-colour printing. The VG2755-2K monitor features ViewSonic’s exclusive ViewMode, including Text, Web, Movie, Mono, Mac, and Game presets. Depending on the occasion, a corresponding preset helps to enhance gamma curve, colour temperature, contrast, and brightness to deliver the optimal viewing experience. The Flicker-Free technology and a Blue Light Filter help to eliminate eyestrain caused by harmful light rays and periods of extended viewing. The VG2755-2K has been designed with energy efficiency in mind. With certification from Energy Star 7.0 and EPEAT, the VG2755-2K’s Eco Mode consumes less power, resulting in a smaller carbon footprint and reduced overhead costs.